I have purchased this Lenovo G50 80E30181US two weeks ago, I was lucky as the price was a good deal. The Windows 8 laptop has decent quality, not the best out there, but pretty good. It’s quite thin yet has DVD drive, light, and like many other light laptops these days, it feels cheap, but not that bad. And it does have brushed metal look. Find even lower in this place. My little issue was the preinstalled software, like any other budget new laptops, it was shipped with trial stuff and it does not have the installation disk. 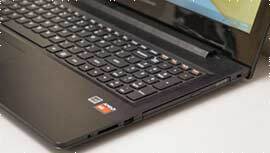 The Lenovo G50 80E30181US laptop comes with AMD A8-6410 CPU which is in terms of performance, almost the same with the newest Intel i3 generations, CPU boss claimed the same. 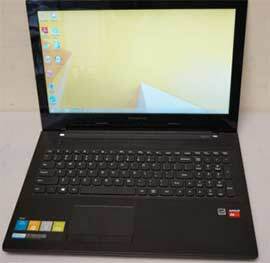 If you want to go with 17 inch, you can look for Lenovo G 70. Other than CPU, this comes with 6 GB of RAM, which is a plus, since you mostly can find 4GB of RAM at this price point. The 6 GB of RAM is of course very helpful when you want to open lots of tabs on your browser, doing Microsoft Office documents, and watching videos, or downloading files at the same time. However, if you are heavy gamer, this is not a perfect device for that, while for basic gaming is still OK, but to do heavier computing tasks like intensive gaming, continuely editing videos, or running virtual machine, it is not your desktop replacement. Looking at the price, around 300 bucks, this Lenovo G50 80E30181US wins for the price and its performance. For the money you spend, it has decent screen and screen resolution. I have other high end devices, like iPad, and I have to dim the screen down to about 40% because my eyes are too sensitive of the brightness, with this laptop, I would turn it down for about 50% to get the most comfortable level to read or stare. DVD drive, USB 3 port, and USB 2 ports. The screen resolution is not those full HD qualities, but enough to watch movies with my several friends. So the screen quality from this laptop is not that bad that I have to use my other devices while I am using it. This laptop is not a Macbook, and it wasn’t build to be any powerful device but affordable, and daily standard laptop. For the price, it packs more specs if you compare it to other 350-400 bucks laptops, or even less here. I recommend Lenovo G50 80E30181US to anyone who need an affordable device to do their basic stuff.